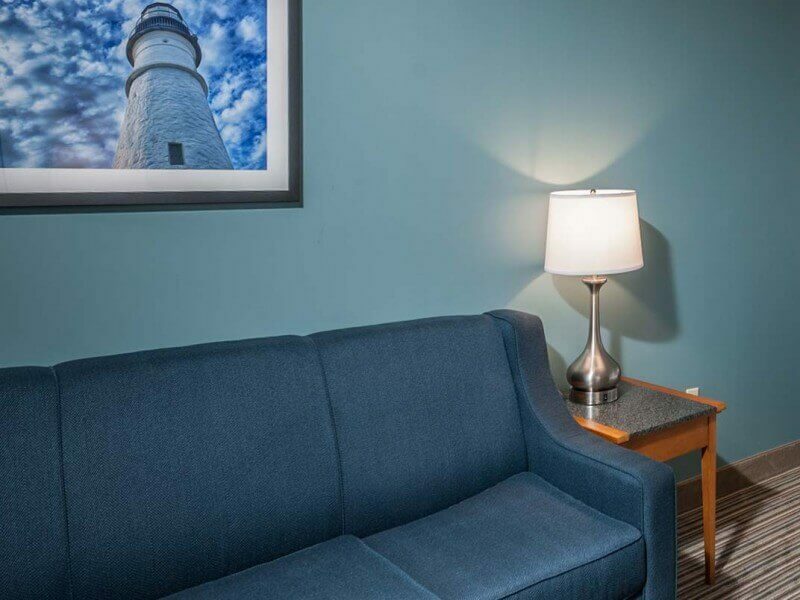 Our newly renovated rooms provide guests with the comforts of home while visiting Rockland. 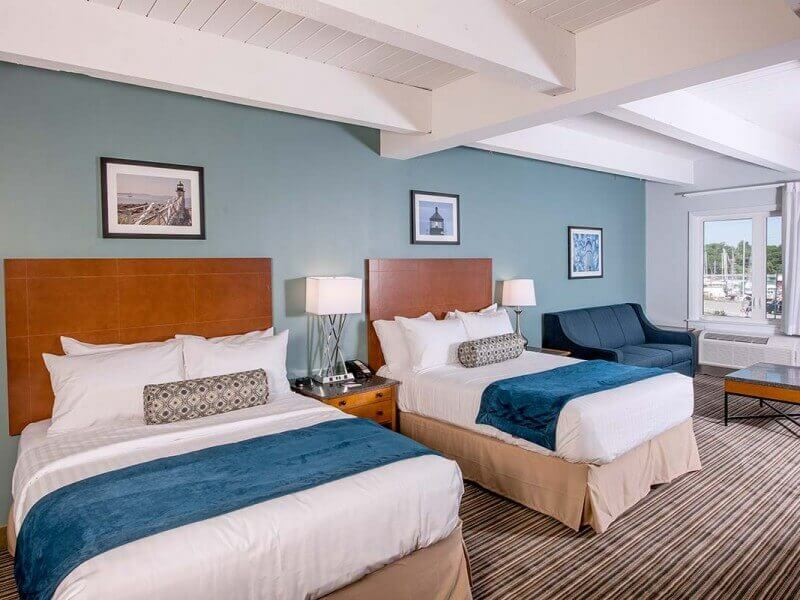 Guest rooms feature an airy, coastal décor and modernized, convenient amenities that offer a relaxing experience. 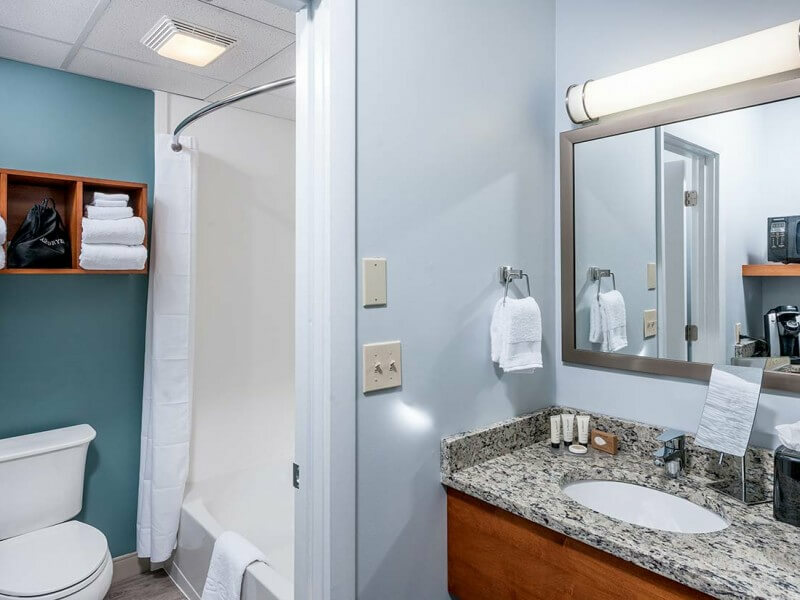 Completely refurbished guest rooms – from furniture to fixtures, carpet to curtains, accent tables to artwork – discover updates everywhere you look. 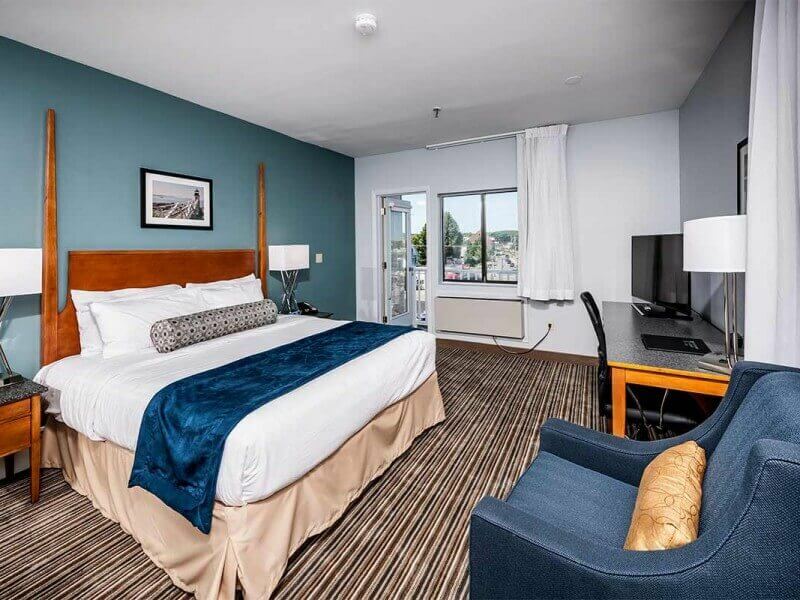 Choice of king or two queen beds, plus complimentary wireless internet, high-definition TV, desk with office chair and in-room coffee maker.